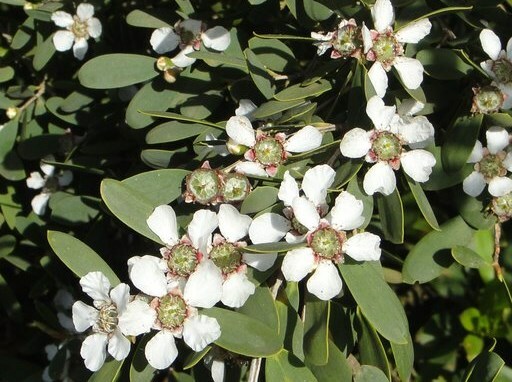 Leptospermum laevigatum (Australian tea tree) is a shrub (family Myrtaceae) with white flowers and narrow leaves found in the San Francisco Bay area and central and south coast ranges of California. It is native to southeastern Australia. It grows in dunes. Its seeds are spread via wind, vehicles, soil movement, water and dumped garden waste.